By the way, Miyamoto-san, you visited Next Level Games, didn’t you? I think it was twice? How was Miyamoto-san’s visit to Canada? Even people who almost as a policy only wear shorts all year long wore proper trousers that day. And hearing rumours that Miyamoto-san was coming to Canada, people from other development companies were hanging around our company. They wanted to exchange data with Miyamoto-san via StreetPass8, so they held a Nintendo 3DS over their heads! (laughs)8. StreetPass: A communication system that allows users to exchange game data with other users that they pass on the street. Everyone was really excited that time. Did actually meeting Miyamoto-san change your image of him? spider boss , and I was surprised at how he beat it right away, and, while playing, tossed out comments right and left. 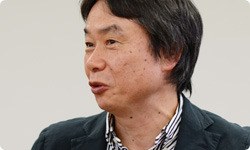 It was quite a nerve-wracking experience to collaborate with another company in making a game, but I was incredibly impressed at how Miyamoto-san put everyone at ease and created an atmosphere where everyone could speak freely. This is turning into a Miyamoto-praise-fest! But Luigi’s in the spotlight this time. So, to talk about player controls in Luigi’s Mansion 2, we remade them more than ten times. Then, when the feeling of the controls changed, I would ask, “How are you programming the data?” and sometimes go inside. I felt like that is something that I was personally involved with to a fair extent this time. Yes. I remember we went back and forth with regard to that quite a lot. I didn’t do much else, though. The game features a haunted mansion, so elements that were like a parody of haunted-mansion movies kept developing. But Luigi’s Mansion is its own unique world. So I told them they should develop more freely. In other words, don’t be constrained by movies about haunted houses. Right. With the usual sort of ghost parodies, things like “We’ve got to do this” and “We’ve got to do that” tend to pile up. But I thought if they strayed outside those bounds and had more fun and freedom, it would be more enjoyable when it was done. 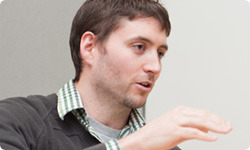 You wanted them to make it freely, without being limited by existing conventions. For example, on the stage “Haunted Towers,” which has two towers flanking a big tree, we were talking about what to do for the boss, and I said, “How about making the stairs the boss?” and we went back and forth for a while about how we could achieve that. We came up with ideas together then. So you also came up with content? But didn’t you just say you didn’t do much? 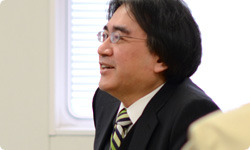 Bryce-san, how were Miyamoto-san’s ideas? I think that stairway boss was the first upending of the tea table. At first, we were considering a plant boss. Because of the big tree on that stage. But Miyamoto-san said that was too ordinary. The boss that appears on the first stage is a spider. And, for example, sand is the theme on the “Old Clockworks,” so if you made a pyramid and had a mummy boss appear there or a sphinx boss – ideas that anyone can come up with – the result would be an ordinary action-adventure game.Thus, the setting is a mansion, so I tried to decide upfront that the stairs are the boss in this building, or the clock is the boss in that building. And apparently that gave everyone trouble. First, they made a boss in the shape of stairs, but all it had was a gaping mouth, so it wasn’t very interesting. you had to go up, zig-zagging from one to the next, but if you messed up, you’d fall . Yes. If you run fast, you’ll sort of see a hint, so if you try hard to race up, you can clear it. Then, just when you’re relieved to finally reach the top, a boss in the form of a short staircase comes out – da-da-doom! – but it’s mostly for show. Yeah, you can beat it relatively easily. After running up all those stairs, if a really strong boss appeared, it would be stressful, so we decided to treat facing that boss as a special bonus for successfully climbing up the stairs.